The environment and energy administration in the Brussels-Capital Region. The objective is to study, monitor and manage the air, water, soil, waste, noise, nature (green spaces and biodiversity), etc. 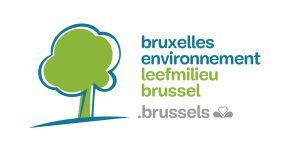 and to issue environmental permits, check compliance with these permits, develop and support environmental education projects in Brussels schools, take part in meetings and negotiations at Belgian and international level, etc. The CHINA-ASEAN Environmental Cooperation Center (CAEC) was established with the aim to build a resource-conserving and environment-friendly East Asia. Aiming at promoting regional cooperation on environment between ASEAN MemberStates and China, CAEC operates independently under the guidance and with the support of the Ministry of Environmental Protection (MEP) of China. Center for Strategic Studies and Management Science, Technology and Innovation. Strategic studies and analyses, exploratory studies and diffusion of information with the aim of supporting decision-making, formulation and implementation of public policies in science, technology and innovation, as well as subsidies in the area of technology for businesses. Articulation, coordination and interaction between science & technology actors and the productive sector. Ecocity Builders develops and implements policy, design and educational tools and strategies to build thriving urban centers based on “access by proximity” and to reverse patterns of sprawl and excessive consumption. 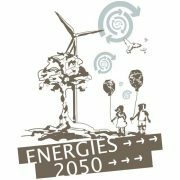 ENERGIES 2050 was born from the coming together of citizens of different nationalities and various professional backgrounds, and renowned international experts on climate and energy issues as well as issues on sustainable development. The ministry is in charge of preparing and implementing government policy in the fields of sustainable development, environment, green technology, energy and energy transition, climate, and environmental and technological risk prevention, industrial security, transportation and its infrastructure, equipment and the sea. 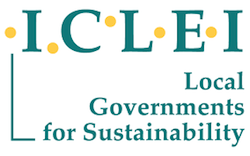 ICLEI – Local Governments for Sustainability is the leading global network of more than 1,500 cities, towns and regions committed to building a sustainable future. By helping the ICLEI Network to become sustainable, low-carbon, resilient, ecomobile, biodiverse, resource-efficient and productive, healthy and happy, with a green economy and smart infrastructure, it impacts over 25% of the global urban population. IIED is a policy and action research organisation. We promote sustainable development to improve livelihoods and protect the environments on which these livelihoods are built. We specialise in linking local priorities to global challenges. IIED is based in London and works in Africa, Asia, Latin America, the Middle East and the Pacific, with some of the world’s most vulnerable people. We work with them to strengthen their voice in the decision-making arenas that affect them — from village councils to international conventions. 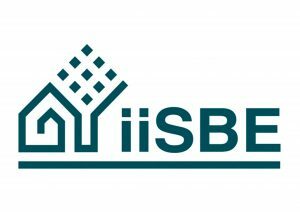 iiSBE is an international non-profit organization whose overall aim is to actively facilitate and promote the adoption of policies, methods and tools to accelerate the movement towards a global sustainable built environment. iiSBE has an international Board of Directors from almost every continent and has a small Secretariat located in Ottawa, Canada. 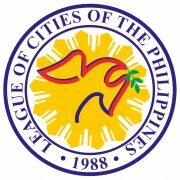 A Leading, Committed and Proactive Local Government League in the Philippines. To Engage Cities for Unified Voice, Innovation and Excellence in Action. 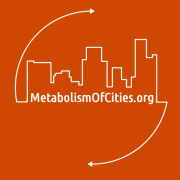 The Metabolism of Cities website collects information useful to researchers involved in Urban Metabolism (UM) research. The principal sections are Publications and Research, Data, Stakeholders Initiative, Online Material Flow Analysis Tool Omat. The mission of the Massachusetts Institute of Technology is to advance knowledge and educate students in science, technology, and other areas of scholarship that will best serve the nation and the world in the 21st century. It is also driven to bring knowledge to bear on the world’s great challenges. The Sustainable Cities Program provides public managers a full schedule of urban sustainability, a set of indicators associated with this agenda and a database of practical cases with national and international examples as references to be pursued by the municipalities. 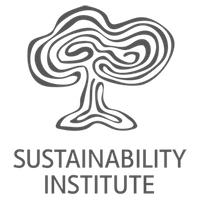 The Sustainability Institute (SI) was established in Lynedoch Ecovillage (South Africa) in 1999 to provide a space for people to explore an approach to creating a more equitable society. The Sustainable Healthy Cities Network is a research collaboration across universities, city governments, NGOs, and industry partners who are co-developing the science and practical knowledge that enables urban infrastructure transformation toward environmentally sustainable, healthy, and livable cities. The network examines physical changes in the scale of infrastructure design, the role of new technologies, as well as the changes in public attitudes, policy, and governance needed to achieve infrastructure transitions that benefit people, cities and the environment. Developed with support from the US National Science Foundation’s Sustainability Research Network (SRN) program, the Sustainable Healthy Cities Network connects across nine research universities, major metropolitan areas in the US and India, as well as infrastructure firms and policy groups to bridge research and education with concrete action in cities. The United Nations Environment Programme (UN Environemnt) is the leading global environmental authority that sets the global environmental agenda, promotes the coherent implementation of the environmental dimension of sustainable development within the United Nations system and serves as an authoritative advocate for the global environment. The University takes its public and social responsibility seriously. We are committed to making the world a better place. This approach is embedded in everything we do, from partnerships with local and global organisations to our research and teaching. Discovering solutions for our rapidly urbanizing planet, the World Council on City Data (WCCD) is the global leader in standardized city data – creating smart, sustainable, resilient, and prosperous cities. The WCCD hosts a network of innovative cities committed to improving services and quality of life with open city data and provides a consistent and comprehensive platform for standardized urban metrics. The WCCD is a global hub for creative learning partnerships across cities, international organizations, corporate partners, and academia to further innovation, envision alternative futures, and build better and more liveable cities. FIDIC is the International Federation of Consulting Engineers. Its members are national associations of consulting engineers. Founded in 1913, FIDIC is charged with promoting and implementing the consulting engineering industry’s strategic goals on behalf of its Member Associations and to disseminate information and resources of interest to its members. 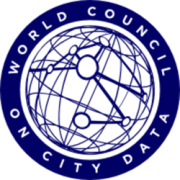 Today, FIDIC membership covers 104 countries of the world.